“You know, you were right,” my nephew said to me. He had come to this revelation whilst being bedridden after an operation and watching James Cameron’s ‘The Terminator’ day after day. The debate as to which of Cameron’s killer cyborg movies is the best has raged since ‘Judgment Day’ was released in 1991. 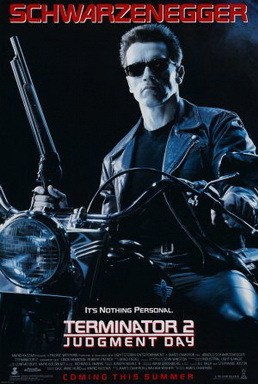 Of the 1652 people who voted in an IMDb Face-Off pole, 1206 chose ‘Terminator 2’; a survey of critics on Indiewire was split right down the middle; Terminator 2 is routinely cited along with ‘Empire Strikes Back’, ‘The Godfather: Part 2’ and ‘Toy Story 2’ as one of the few instances where the sequel is better than the original. The reasons why ‘Judgment Day’ is considered a superior film are that it has a better story, better effects and a better villain in the T1000. I must confess, I never thought ‘Judgment Day’ was equal to ‘The Terminator’ and the reason can be summed up in a single line of dialogue from each film. At some point in the future John Conner gave Kyle Reese a photo of his mother and Kyle Reese became obsessed with it. Kyle tells Sarah about the photo, that he lost in a fire, and how he remembered every contour of her face and how he’d spend time wondering what she was thinking about at the moment the picture was taken. It turns out, at the end of the film, when a young boy in a petrol station takes the photo, what Sarah is thinking about is Kyle Reese. 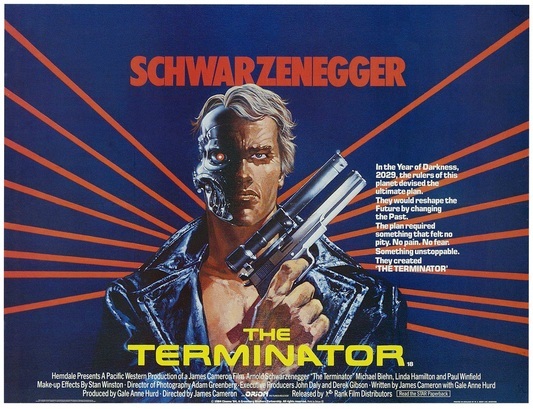 At its heart ‘The Terminator’ is a love story about two people who come together across time and create the messiah. The emotional heart of ‘Terminator 2: Judgment Day’ isn’t as sophisticated: through continued interaction with people, Arnold Schwarzenegger’s Terminator learns about empathy – something the people he and John Conner observe seem to have forgotten (‘It is in your nature to destroy yourselves’). ‘Terminator 2’ is essentially a machine’s coming of age story. In a way, because it is a coming of age story, ‘Terminator 2: Judgment Day’ isn’t a sequel to ‘The Terminator’ but an emotional prequel. So if someone you know insists that ‘Terminator 2: Judgment Day’ is the better film and anyone who thinks otherwise is a fool (as my nephew used to), tell them to wait awhile because inevitably they’ll grow into ‘The Terminator’.